Debut from Pink Lincolns frontman with guest vocals by Ben Weasel and Farfisa from The Dwarves’ He Who Cannot Be Named. 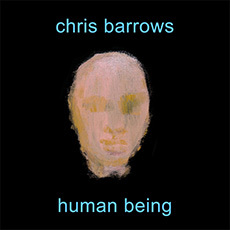 Chris Barrows, frontman of Tampa, Florida’s legendary Pink Lincolns releases his debut solo record with a little help from his friends. Screeching Weasel singer Ben Weasel adds his voice to “Not It”, The Dwarves’ He Who Cannot Be Named adds Farfisa organ to “Human Being” and “Be My Girl” and Lianna Hoffman adds cello to a reinterpreted version of the Wire song “Champs” from their classic album ‘Pink Flag’.